Friends Adventure Team is a professional, eco-friendly adventure trekking and mountaineering company owned and operated by local adventure trekkers & climbing experts. 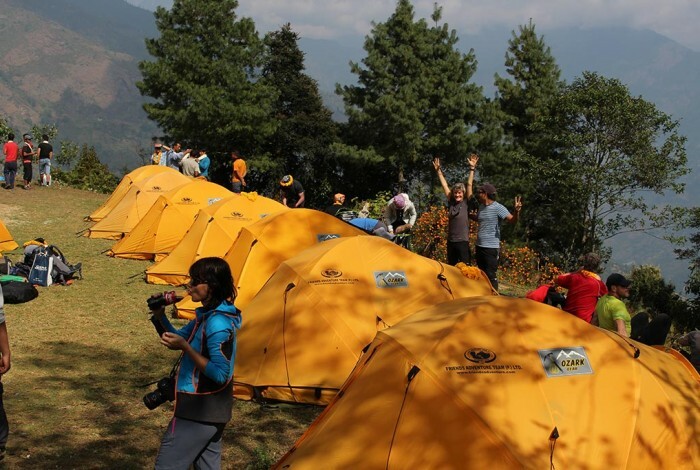 Handling the adventure enthusiasts from more than a decade we assured that all of our esteemed travelers have a finest and secure adventure travel experience of trekking and mountaineering expedition in Nepal. Trekking & Expedition in Nepal’s matchless combination of natural beauty, cultural diversity and towering high mountains and peaks reveals itself only to those who walk and climb. Trekking & Expedition to the amazing pristine trails and giant high mountains of Nepal is an ultimate dream of adventure travel enthusiastic; that once should do in a life time before one can die. Let’s explore the pristine trails and amazing massive high mountains with young & local adventure Trekking & Expedition holiday’s experts.